Some dogs are just too excited to be hightailing it out of the shelter. 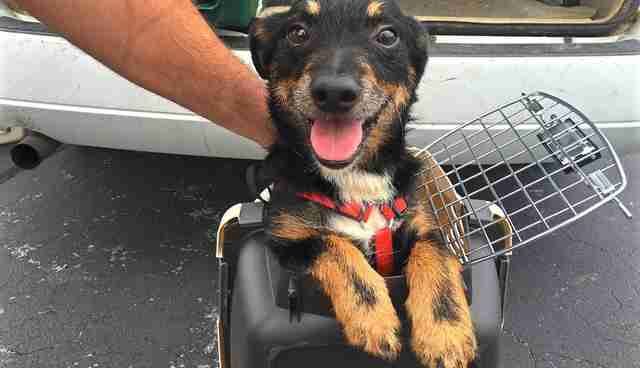 Like Leroy, a dog, who just couldn't contain himself on his flight from a kill shelter in North Carolina to a rescue in New Jersey. 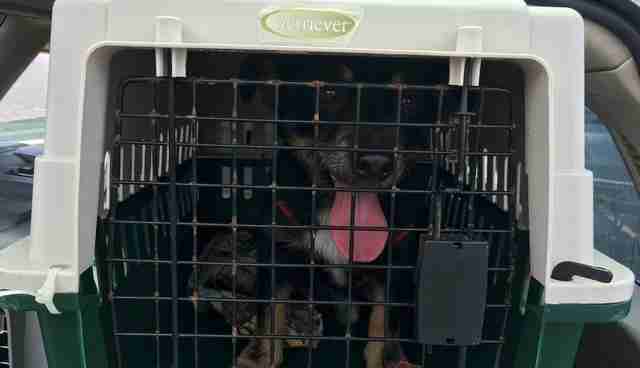 Unlike the other dogs who were flown from North Carolina this month, Leroy wasn't content to hide in his crate during his flight to freedom. He just kept popping his head out again and again. "Leroy was just a furry ball of fun from the start," Paul Steklenski, the pilot and founder of Flying Fur Animal Rescue, tells The Dodo. 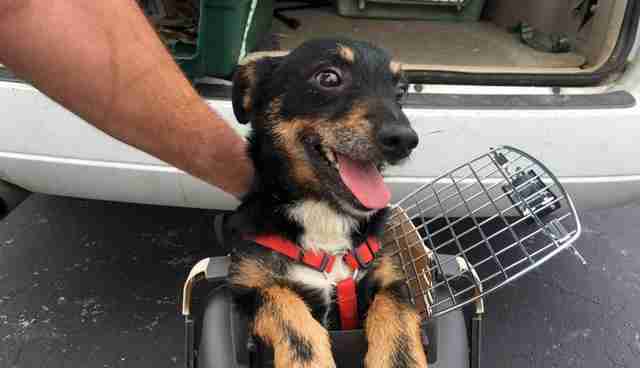 "Hilarity ensued when we attempted to move him from his ground transport crate to his flight accommodations." Indeed, Leroy just kept poking his head out, Steklenski notes, "like a jack-in-the-box." 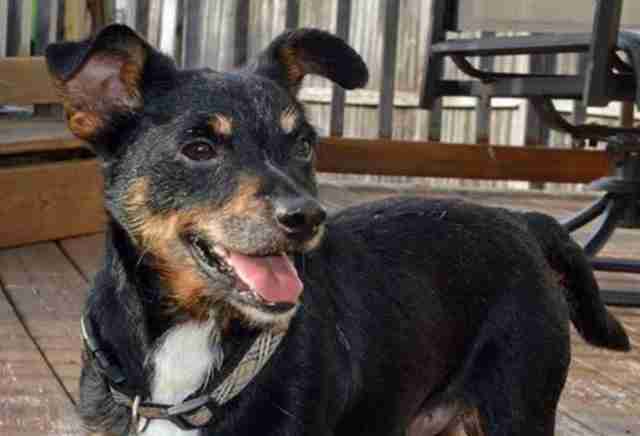 It seemed the tiny terrier mix, who was initially picked up as a stray on the streets of Wilson, North Carolina, wanted to soak up every second of his odyssey to a new life. 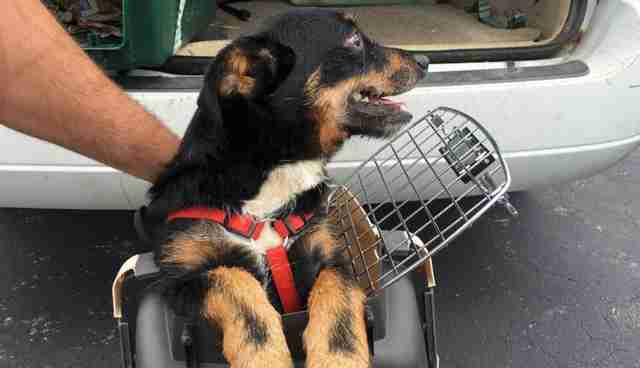 "We convinced him it was unsafe and he finally relented to full crate status," Steklenski adds. And then this pop-up pooch, along with nine other rescuees, took to the skies. 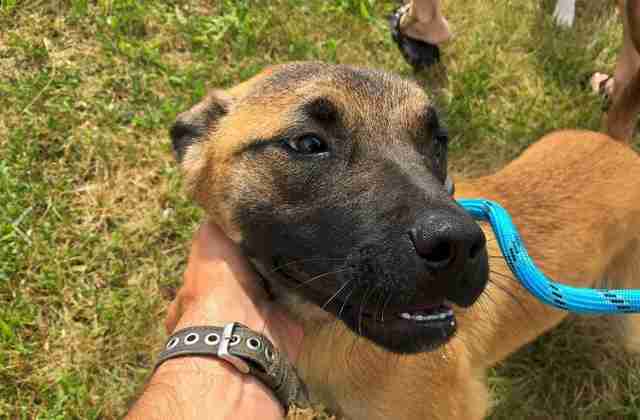 The Burlington County Animal Alliance - the New Jersey rescue that organized the flight with Steklenski. Now, the group will work on finding these dogs a real home. But Leroy's reputation as an irrepressible charmer preceded him. He already had a foster family waiting for him in New Jersey. Another dog found her family while she was still in the air. 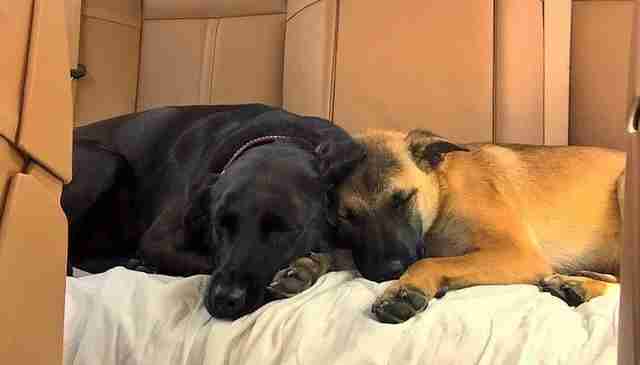 By the time the plane landed in New Jersey, Steklenski had fallen in love with another passenger - a dog he named Kayla. Kayla fit into Steklenski's family of rescued dogs seamlessly. Leroy's journey, on the other hand, isn't quite over yet. While he's in a foster home now, he's looking for a family to be with him for the long haul. 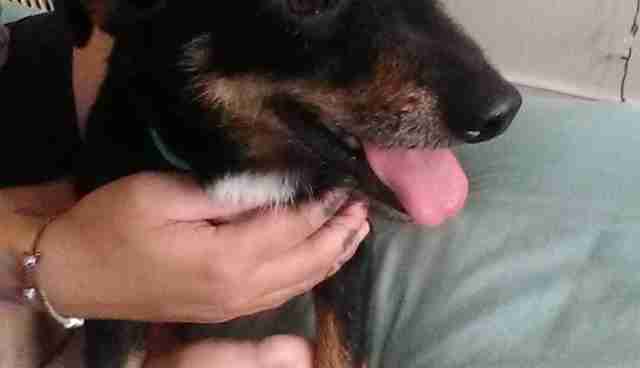 He's heartworm positive, which means he'll need extra care in his new home. But he's housebroken, exuberantly friendly and doesn't mind the crate - unless, of course, he's getting on a plane. Think you can take him there? Visit the adoption page for the Burlington County Animal Alliance here. And if you would like to support Flying Fur Animal Rescue and its mission to haul dogs from shelters to homes across the country, consider making a donation here.